When I first heard about Jackson Market, the deli market and café nestled into a residential neighborhood in Culver City, I knew it was next on my list of places to check out. The market was first established in 1925, years before the implementation of zoning laws that would have banned such a shop from existing in the midst of family homes, and thus, the anomalous little sandwich shop and specialty food market has become the speakeasy of delis. The original proprietor built the market right next to his home, and over the years the shop has evolved and expanded. In the 1940s the market was a full service butcher shop, but these days the focus is on sandwiches and an eclectic array of specialty market items. The quaint shop, which is styled after the bodegas of New York City and classic French cafes, now encompasses the original home as well as a section of land behind the market that has been transformed into a beautiful zen garden including fountains, lush foliage, and a koi pond. While I enjoyed a tranquil Wednesday morning brunch out on the back patio, I have heard that the deli café is absolutely packed at lunchtime as people from Sony Studios, also known as “the lot”, pile in to snag delicious, freshly made sandwiches and unique bottled beverages. 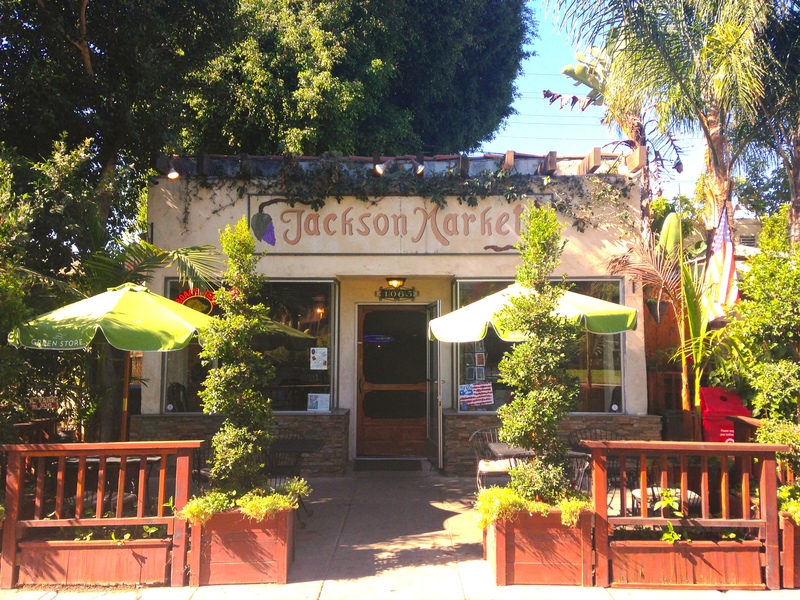 So next time you’re looking to break out of your lunchtime rut, make your way over to Culver City and find out why Jackson Market has held its status as a hidden gem for almost 90 years! #TBT – Felicity TV show!